Discussions Magazine Music Blog: GUMBY- and his pony pal POKEY, too - is coming to DVD... and this time, they will be the original episodes! 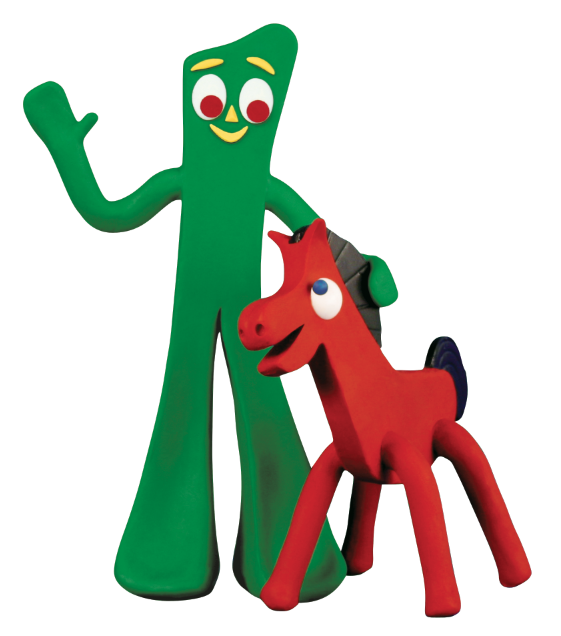 GUMBY- and his pony pal POKEY, too - is coming to DVD... and this time, they will be the original episodes! NCircle Entertainment specializes in the sales, marketing, and distribution of children and family entertainment, and is a trusted brand for high-quality, age-appropriate content. As the largest independent studio for children’s non-theatrical DVDs, NCircle’s portfolio includes many of the most loved and best-selling children’s brands. Key brands currently in NCircle’s vast library include Disney Jr.’s Octonauts, PBS’s The Cat in the Hat Knows a Lot About That! and Sid the Science Kid, Nick Jr.’s Mike the Knight and Pocoyo, as well as the Academy Award nominated short films The Gruffalo and Room on the Broom. For more, please visit www.NCircleEntertainment.com. NCircle is a subsidiary of Alliance Entertainment. Founded by Art and Ruth Clokey, Premavision/Clokey Productions stop motion animation studio is best known for creating the iconic character Gumby – the world’s original clayboy. The studio has produced over 200 Gumby TV episodes and The Gumby Movie, as well as the popular Davey and Goliath show. The company’s productions have aired worldwide for nearly 60 years, and the legacy continues under the direction of Joe and Joan Clokey. For more, please visit www.Gumby.com.